I spent a wonderful weekend in the Centre of the Universe with Venice and Firstborn. Today’s post is an outsider’s impression of what Torontonians were fussing about on this first May weekend. 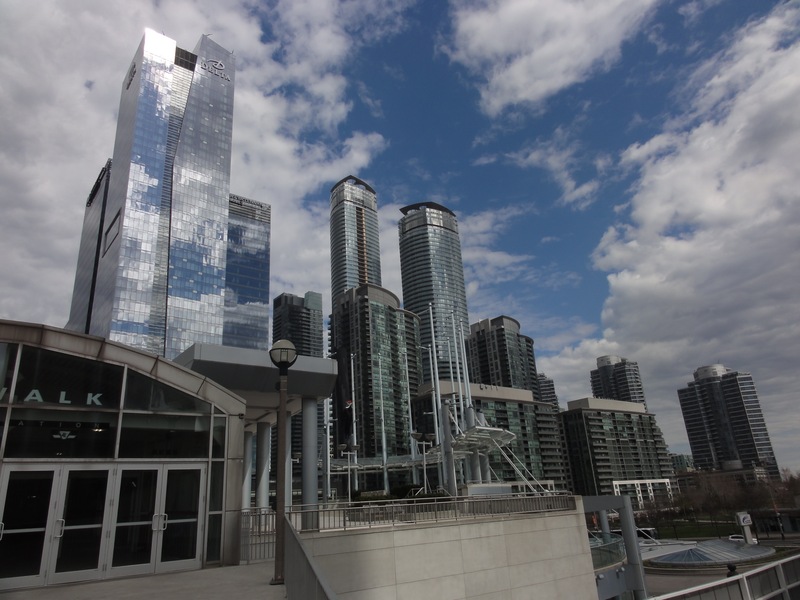 If you are visiting Toronto with kids there are many wonderful things to do: Toronto Zoo, Ontario Science Centre, Centreville Amusement Park (and Toronto islands in general), Riverdale Farm, Royal Ontario Museum (ROM). But that’s a program for those with a week at their disposal. Centreville Amusement Park and Riverdale Farm will most appeal to the under 11 year old crowd. The other choices are for all ages. These are my top picks for visiting Toronto with kids but we just happened to give all of these a miss this time around. 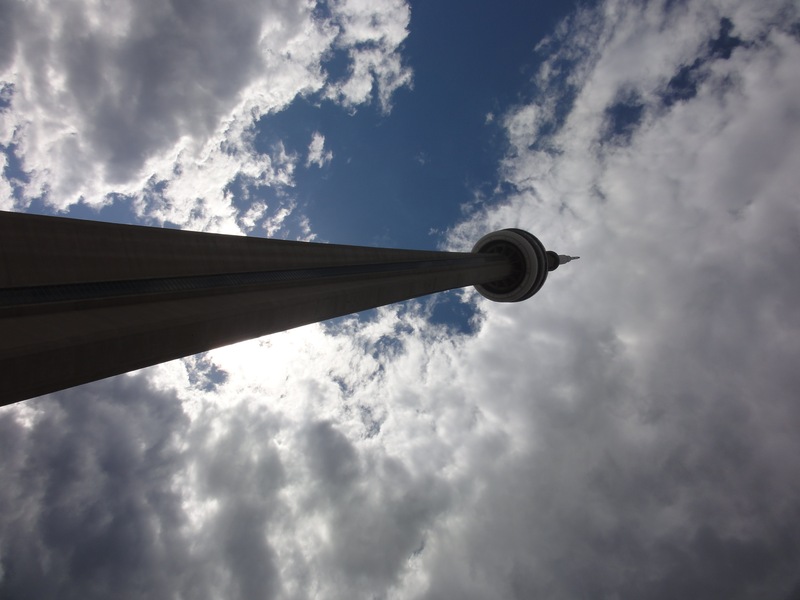 In the “not worth it” category: going up the CN Tower ($60 for one adult and one child). But you may just have to do it anyway. I understand. Given our whirlwind visit, we decided to build a program around a few of our other top picks: Kensington Market, Chinatown, Art Gallery of Ontario, Gardiner Museum. To keep things manageable, we focused on a specific part of Toronto and ignored all the rest of it. This plan allowed us to enjoy a mix of Toronto landmarks, current events and simply discovering fun stuff. We spent our time in the area demarcated by Sherbourne, Queen, Bathurst and Bloor. When the Greyhound bus disgorged us at 8 pm on Thursday evening, one of the very first things we saw was a long line-up on Bay Street. Hip club? 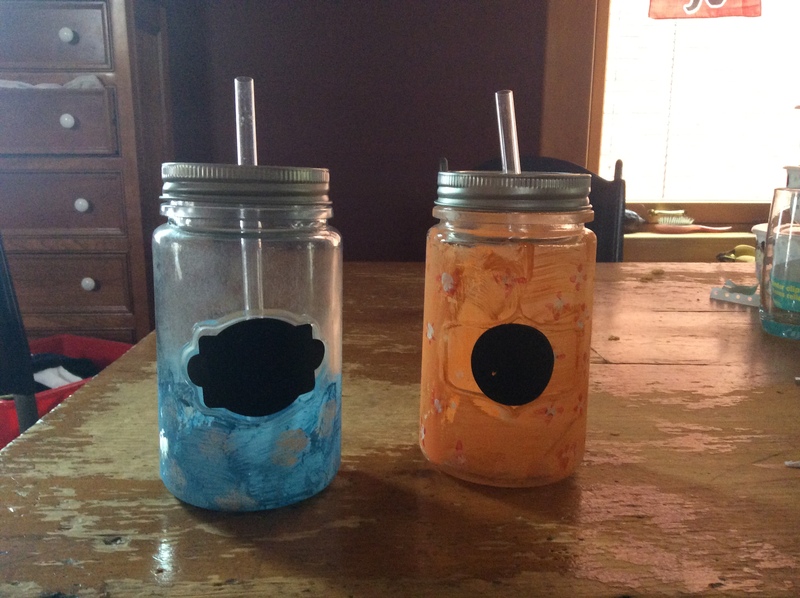 Trendy restaurant? New movie? Nope. 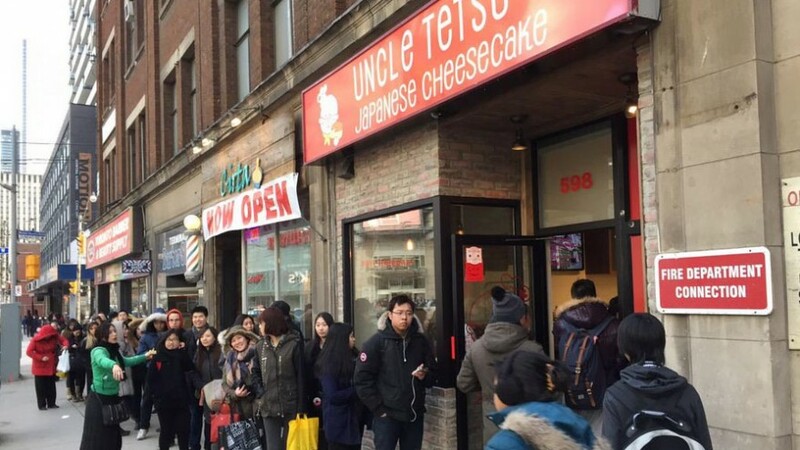 Mysteriously, people were lining up for up to two hours for Uncle Tetsu’s Japanese Cheesecake. I kid you not. This is the latest craze in Toronto and people who have tasted Uncle’s cheesecake in one of his 100+ shops throughout Asia are fanning the hype. Get this: each customer is only allowed to buy one cheesecake (roughly $10). You can’t eat in, you just line up, get your cheesecake and stand on the sidewalk gnawing it. All day long, they line-up for Japanese Cheesecake. Photo from City News. Another thing the Torontonians are all buzzing about? Über. It seems to be a big hit with the locals. I’m always up for trying something new and it seemed fitting to make this a weekend of transportation firsts having just taken my first Greyhound bus. I added Über to my list of things to do. Luckily, Nephew was a member so I didn’t even have to go through the exercise of registering myself. But before you catch an Über to head home for the day, you have to accomplish something – see some sights. Firstborn received a frantic text from Paris, back home. We read it in a Valley Girl accent: OMG there’s a festival of famous Youtubers (?!) on right now at Yonge and Dundas. Go there now! OMG! OMG! Bethany Mota is there!!!! Because we’re a tight knit family, the girls and I dragged Nephew to goggle at the famous Youtubers. The Toronto Star reported that several thousand people attended, all crammed into a small urban square. The Youtube Fanfest demonstrated much of what is insane about the modern Western world. Regular people with a LOT of time on their hands uploading minutiae and drivel are embraced by the cult of celebrity. On the flip side, the democratization of society allowing anyone with talent to self-publish and reach out to the wide world. Now here’s the thing. Earlier in the day, another event took place: The 70th Anniversary of the Liberation of the Netherlands by the Canadian Armed Forces. A parade left Moss Park Armoury at noon and marched to Nathan Phillips Square. The people lined up along the parade route were few but vocal and ORANGE! Those Dutch folks got all decked out in bright orange and came to show their appreciation. The parade included a tank, old jeeps, a few war brides and war veterans as well as marching bands. You would think that this would attract as many people as a Youtube Fanfest but you would be wrong. Nathan Phillips Square was the site of a Dutch party including a beer garden, stands selling foods like french fries served in a cone with mayonnaise, tulips, games and music. There were speeches and a minute’s silence. For some reason, there was also a children’s garage sale where kids 14 and under could sell their wares. 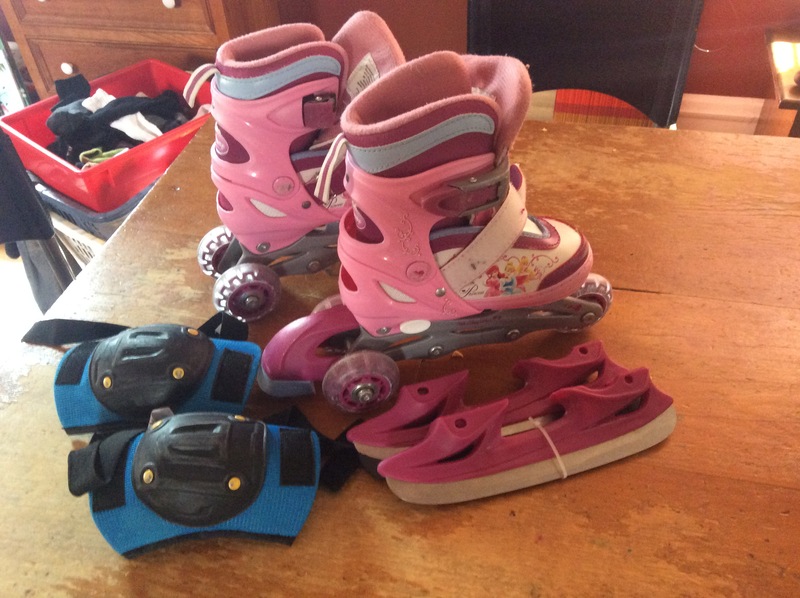 We bought a pair of roller blades for Lastborn for $3 which seemed a great deal until Venice purchased a drinking jar for 5 cents. The Dutch family from whom she bought it have only been in Canada for 3 months which might explain the insane prices of the wares. I recommended a currency converter but not before the rest of us flocked to get jars of our own. I have low tolerance for massive crowds. I also don’t like schlepping used roller blades and glass jars all over town. We met our old friend, Foodblogger outside of H&M as prearranged and introduced her to Nephew. Then we blew off the Youtube Fanfest and hopped into our Über – a perfectly enjoyable experience. For $12 to our destination, up to four people could share a ride. Compare that to $3/pp for a subway. We spent a lovely evening in East York eating pasta and drinking red wine before calling it a night so we could gear up for Sunday. I don’t line-up for dessert.